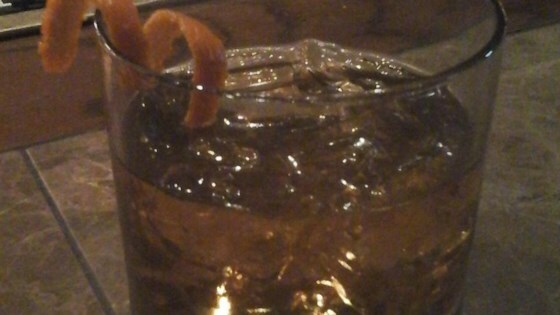 "Rye whiskey and Benedictine work well together. Add some dry vermouth, and it's a full-on brainstorming session, on the topic of deliciousness." Fill a cocktail shaker with ice. Pour in whiskey, Benedictine, and vermouth. Strain into a chilled glass and garnish with an orange peel. Watch a professional bartender make the Big Jamo whiskey cocktail.